This book gives you all the important information you need to become a stem cell scientist. It covers the characterization of cells, genetic techniques for modifying cells and organisms, tissue culture technology, transplantation immunology, properties of pluripotent and tissue specific stem cells and, in particular, the relevant aspects of mammalian developmental biology. It dispels many misconceptions about stem cells—especially that they can be miracle cells that can cure all ills. The book puts emphasis on stem cell behavior in its biological context and on how to study it. Throughout, the approach is simple, direct, and logical, and evidence is given to support conclusions. Stem cell biology has huge potential for advancing therapies for many distressing and recalcitrant diseases, and its potential will be realized most quickly when as many people as possible have a good grounding in the science of stem cells. Written by a prominent leader in the field, The Science of Stem Cells is an ideal course book for advanced undergraduates or graduate students studying stem cell biology, regenerative medicine, tissue engineering, and other topics of science and biology. 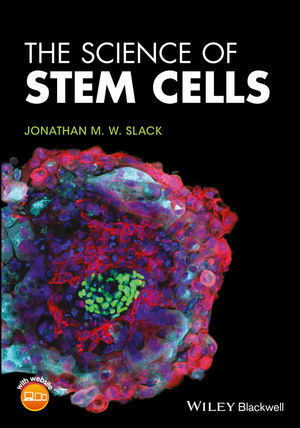 JONATHAN M. W. SLACK is a developmental biologist and author of five books and over 200 scientific papers. He is an emeritus professor at the University of Bath, UK, as well as the University of Minnesota, USA, where he was Director of the Stem Cell Institute from 2007–2013.